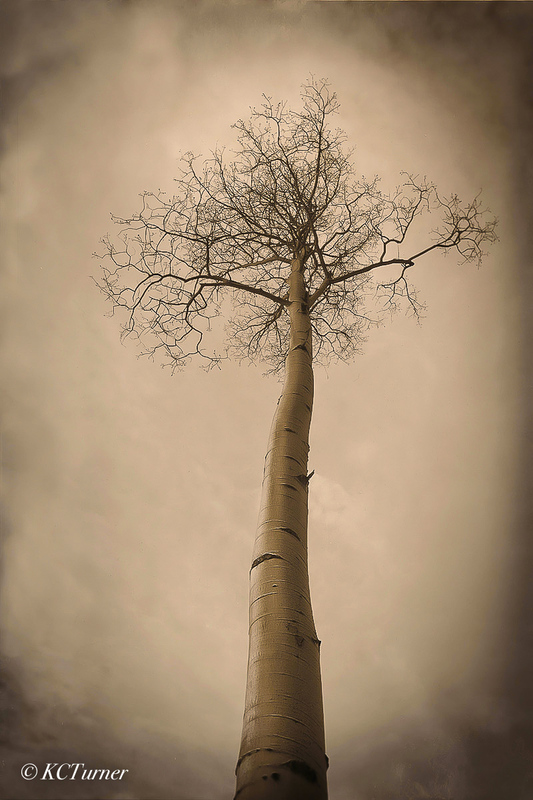 Soft, dreamy and expressionistic, this photogenic Aspen treescape with its sepia toned canvas like rendering was photographed in the Lost Park Wilderness deep within Colorado's Pike National Forest. Photo © copyright by K.C. Turner.